Let the countdown begin. T-minus 7 days until the 4th of July. That means grills and smokers will be fired up throughout the country with hungry feasters waiting to get their BBQ on. 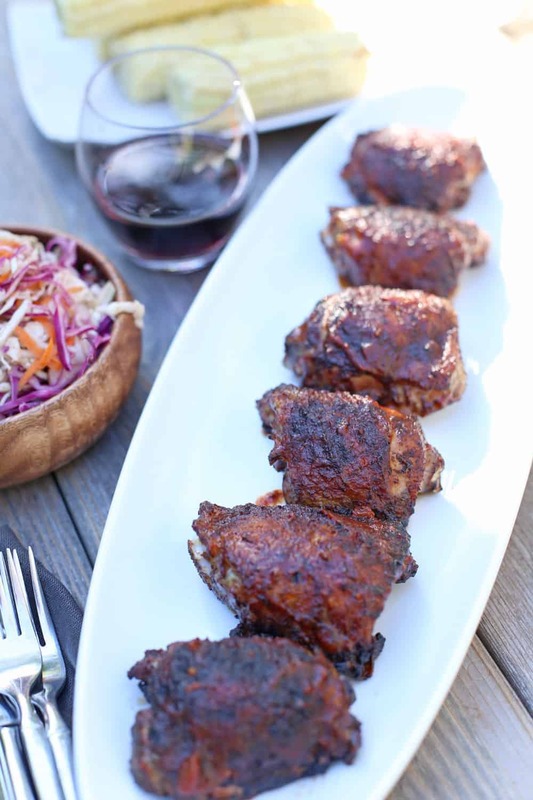 Over on Wine4.Me this weekend I shared one of my favorite (and super easy) recipes fit for a crowd and perfect for your holiday celebration — grilled chicken thighs. 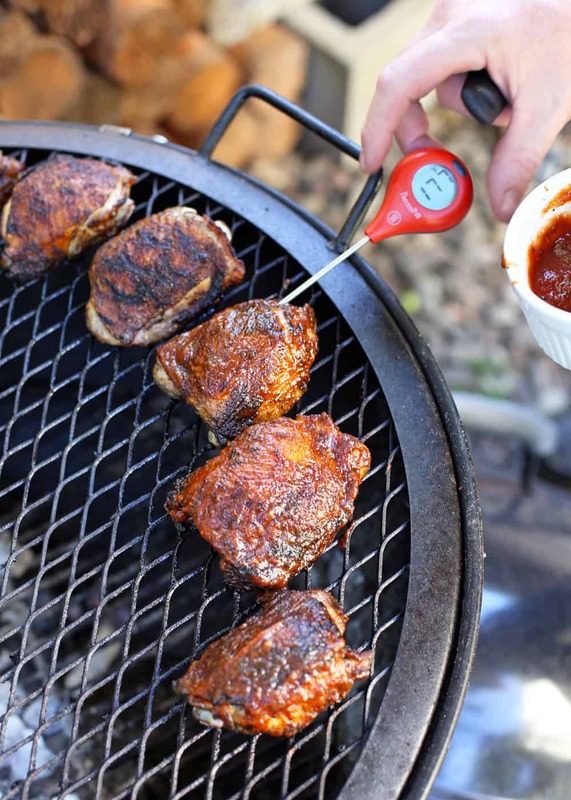 In the article I talk about why I love to cook chicken thighs (vs. a whole chicken cut up into pieces) when cooking for crowd, and share techniques to cook your chicken perfectly, like making sure you use a thermometer, like this one below, to cook your meat to proper temperature. You don’t need to spend a ton of money on a good instant read thermometer. This one up there in the picture retails for around $29 and works like a charm. I love that one and it’s bigger brother, the Thermapen Mk4. Bonus, you’ll also find some of my favorite value wines to drink with this dish, which are also affordable options for parties. From whites, reds, and rosés, we’ve got several options that will all go great with this tender grilled chicken. What are you waiting for? 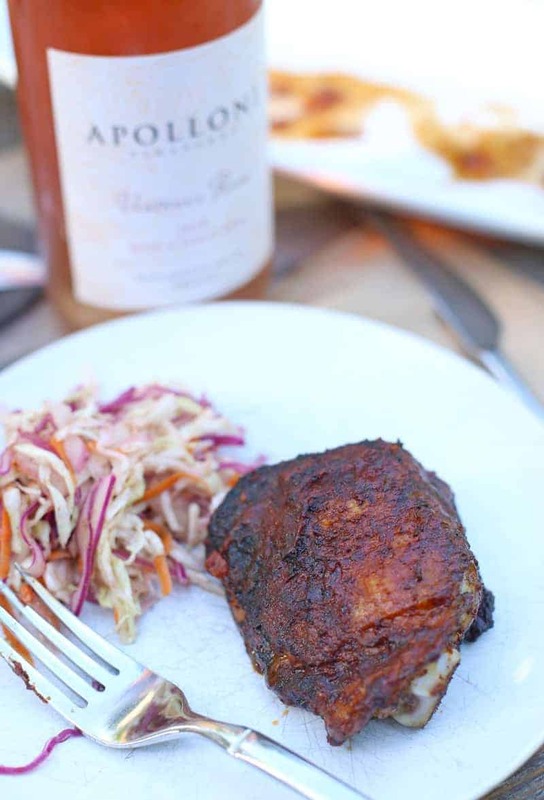 Go check out the article –> Grilled Chicken Thighs for a Crowd over on Wine4.Me. So, do you know what you’re cooking for the 4th yet? I’d love to know! We’re thinking brisket? Maybe some ribs? Or salmon? This exact chicken? Perhaps all of the above!?! Disclosure: This post contains affiliate links for the ThermoPop and Thermapen digital thermometers. That means if you purchase one of these awesome thermometers we receive a small commission. *This is not a sponsored post at all nor were we paid by anybody to write this! We are just huge fans of these thermometers and have been using our own Thermapen for years. 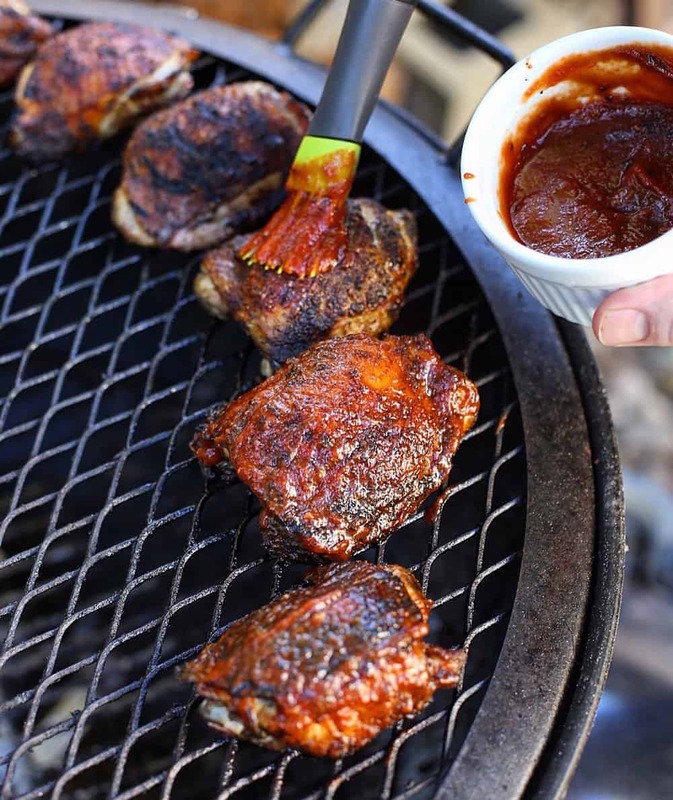 Whether a Thermapen or not, we truly believe a good thermometer is absolutely essential for grilling and smoking meat! !